RED, the makers of fine photography equipment that will set you back the price of a new car, have introduced its own smartphone — Hydrogen. Currently, there’s a lot we don’t know about the device, but from what RED is hyping, it’s a pretty futuristic piece of hardware. 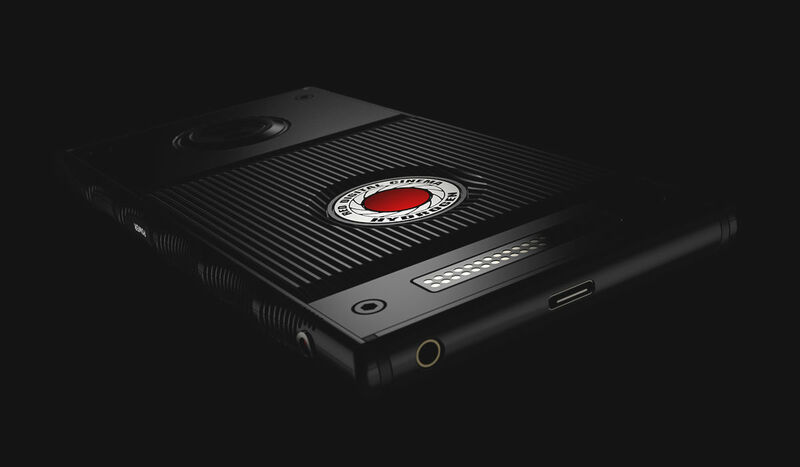 According to RED’s website where the announcement was made, the Hydrogen comes with a 5.7″ “Hydrogen Holographic” display, featuring “nanotechnology that seamlessly switches between traditional 2D content, holographic multi-view content, 3D content, and interactive games.” Essentially, if you need a phone capable of viewing H4V (RED Hydrogen 4-view) content, AR, VR, and 3D media, this phone might be calling your name. Beyond the fancy display, RED details that the Hydrogen is modular, probably thanks to the array of pins pictured on the phone’s backside. We aren’t yet sure about what types of modules will be available, but I can tell you one thing, they probably won’t be cheap. Other details we can make out with the photo provided is that it comes with what appears to be USB Type-C, a headphone jack, and a super creative hardware styling (notice the weird grips on the siding). The phone does come with the Android OS, but beyond that, not much is known. We aren’t yet sure about the processor, camera, RAM, or other specifications. RED does state that it is a unlocked multi-band phone, though, meaning it’s capable of running on various networks. Now, given this is RED we’re talking about, the phone is not cheap. There are two versions, the Titanium, priced at $1,595, and the Aluminum, priced at $1,195. Not only do you have to shell that money out upfront, but your patience will be tested since the phone isn’t expected to ship until Q1 of 2018. While I always welcome newcomers into the smartphone market, and I do believe RED has what it takes to actually launch the product, I wouldn’t be surprised if RED comes into unforeseen issues along the line. There could even be delays, just like any other crowdfunded or pre-order device that comes from a company with little experience in the phone launching field. With that said, there’s a ton of details we don’t yet know, so if you’re on the fence about dropping $1,200+ on a phone that you won’t have until next year, it’s best to wait. RED says that these prices may not last, but I’m sorry if folks are hesitant after we’ve seen the likes of Comet and Saygus. If you want to pre-order or see more details, head over to RED’s website.